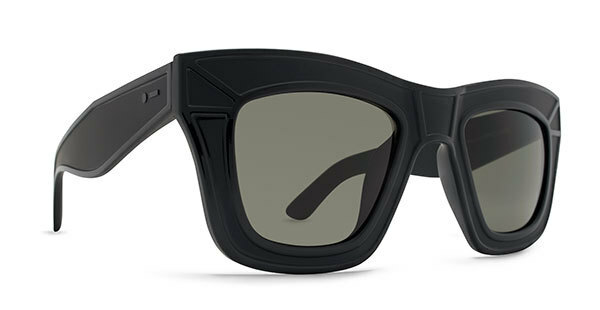 In partnership with VonZipper, Billabong introduces Dot Dash. This brand has been flying off the rack stands in surf shops since it's launch in 2012. Built for a the budget-minded live-fast generation Dot Dash is a wink-wink to highbrow tomfoolery and a nudge-nudge to lowbrow trends. A reaction to things as they should be, the collections within the Dot Dash range speak to the youthful sophisticate and the ageless wonder. It’s always sunny somewhere. CONDITION: Brand new with Full Warranty included. CATEGORY: From the Dot Dash Vintage Collection. Dot Dash has created a line of shades that are based on classic shapes and time-tested design concepts coupled with subtle yet edgy lines and contours and colors. Whether you are driving home at day break after an all night bender or tearing up the dance floor at your friends wedding, these shades will be complimentary to any systems you deploy. SIZE: These are small to mid-sized sunglasses for men.